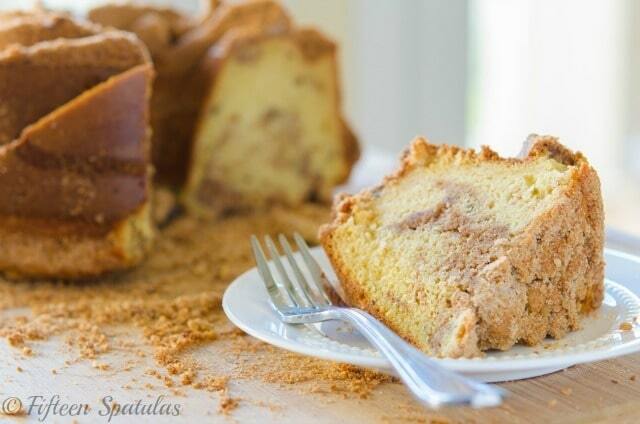 This Cinnamon Coffee Cake has a sour cream batter and lots of cinnamon streusel baked into it. 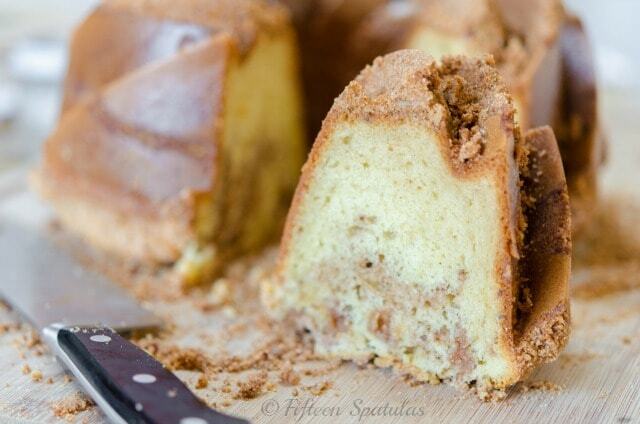 It’s a sturdy bundt cake that’s great to take to parties or events! Moving…as many times as I have done it in the past several years, it’s always such a strange phenomenon. Just this morning I woke up and had a split second where I had no idea where I was (does that ever happen to you?). I have been in this house for 4 months now, but knowing that Pete and I will be moving again in about a year somehow hinders me from feeling adjusted and settled here in this little Connecticut town. The saving grace of moving around so much is that we always meet wonderful people wherever we go. We make friends with our neighbors, we make friends with others serving in the Navy, and we make friends with locals. It’s amazing how much this can help you feel at home in a new place. So today, I would like to wish a Happy Housewarming to one of my blogging friends, Ashton at Something Swanky, along with a bunch of other blogging friends! I know this is a virtual Housewarming, but I hope it makes you feel loved and feel settled in your new home anyway, as you unpack boxes and start off in a new place. I made Ashton a little Cinnamon Crumb Coffee Cake as a housewarming gift! 60 minutes in the oven and it’s done, and ready to give to someone you love! Enjoy! 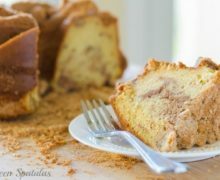 This Cinnamon Coffee Cake has a sour cream batter and lots of cinnamon streusel baked into it. 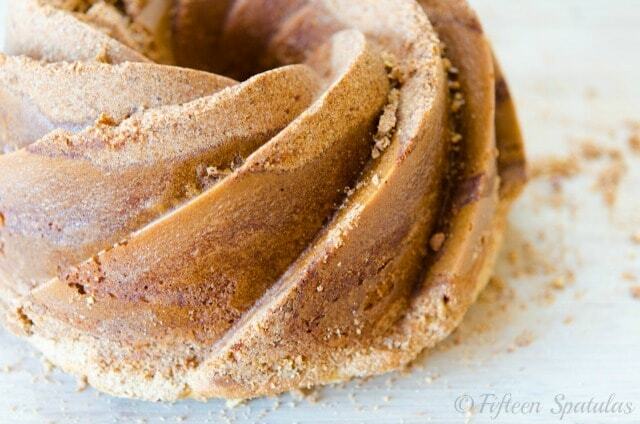 It's a sturdy bundt cake that's great to take to parties or events! Preheat the oven to 350 degrees, and set an oven rack in the lowest level of the oven. Grease the inside of a standard bundt cake pan. 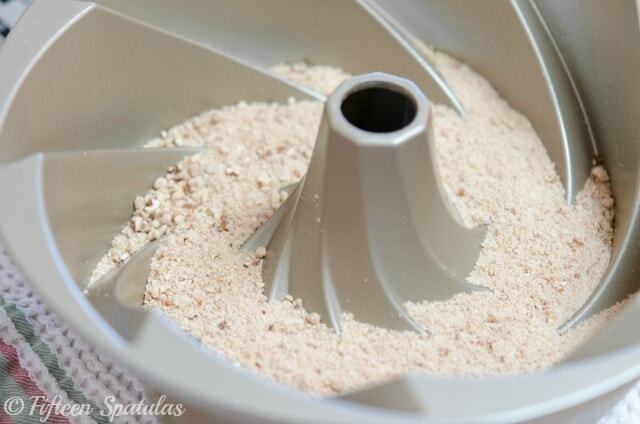 Make the streusel by pulsing the flour, sugar, cinnamon, and salt in a food processor to combine. Add the butter and pecans to the food processor bowl and pulse the mixture 5 times until the butter has been cut up into pea sized pieces. 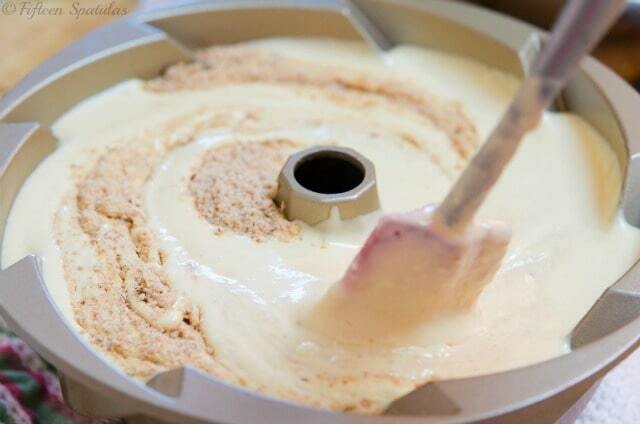 Keep this mixture in the fridge for later. 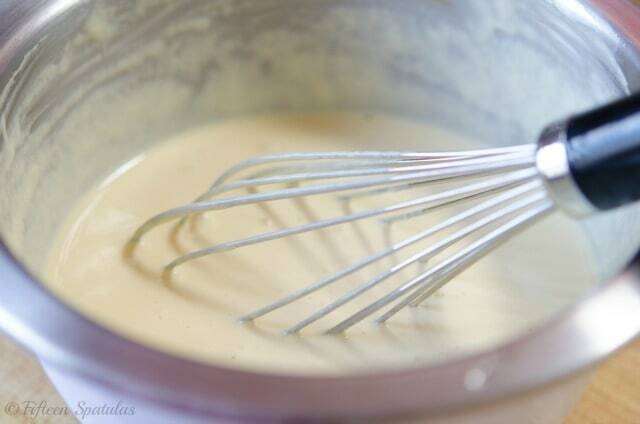 In a small mixing bowl, whisk to combine the eggs, 1 cup of sour cream, and vanilla. 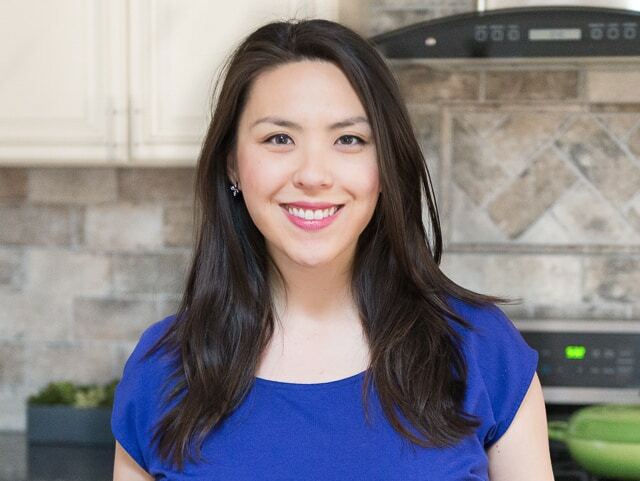 In the bowl of a stand mixer fitted with the paddle attachment, add the flour, sugar, baking powder, baking soda, and salt, and mix on low speed for 30 second to combine. Add the butter and other 1/2 cup sour cream and mix on low until combined. Once the flour has been moistened, increase the speed to medium and beat for 30 seconds. Scrape the sides of the bowl, then turn the mixer to low and add the egg mixture in 3 installments, beating for 20 seconds on an increased speed of medium and scraping the bowl in between each set. For the final mixing, increase the speed to medium high and beat the mixture for 60 seconds until the mixture looks more voluminous and has become a bit pale. Sprinkle a handful or two of the nut streusel into the bottom (which is the top) of the bundt pan, then add a few cups of the batter. Swirl with a knife or spatula. Keep repeating this process of adding streusel and batter, and swirling, until all is used up. Bake the cake on the bottom shelf of the oven for about 60 minutes, until a toothpick inserted into the center of the cake comes out clean. Let the cake cool for at least 1 hour before attempting to turn it out. FYI, this cake will taste better the next day (more moist and cohesive in flavor and texture). Enjoy!